My name is Annie Churo and I am blessed and grateful to be able to be serve as the Lieutenant Governor for Division 45. My goals for my term revolves around communication and involvement. I will communicate between myself and clubs by using social media, emails, newsletters, meetings, and checkups. 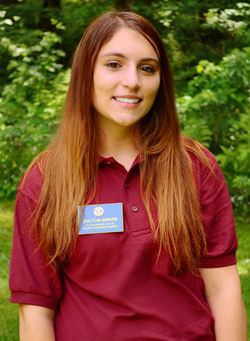 Also, I want to improve communication between clubs and Kiwanis by having members attend their monthly divisional council meetings and events they host. Finally, I will encourage involvement from all schools in D45 when it comes to service. Throughout the past two years, being a part of this family has been an unexpected joyful gift and I am glad that I took that leap from always being shy to now wanting to talk and get toknow others. So hopefully throughout my term I get to meet many of you, but till then, bonne journée! Hello! Greetings from the other Vancouver that's not in Canada. 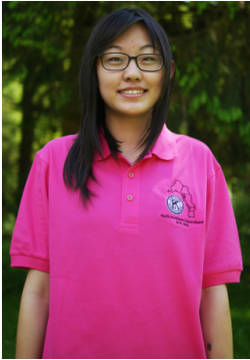 My name is Michelle Chang, class of 2016 from Skyview High School. As the past secretary and President of my home club, I am honored to be serving Division 45 as the LTG! Key Club has completely changed my high school experience. I have met so many amazing people that are compassionate and caring, as well as inspiring me to be my best. During my term, I will strive to serve my Division the best I can. Outside of school, you can find me at Starbucks like a basic white girl. If I'm not there, then I'm probably with my friends drinking Starbucks and jamming out to T-Swift's Blank Space. I like drawing, graphic design, Starbucks, cheesy puns, and playing the piano. Did I mention that I like Starbucks? I hope we can come all together and make this a great year, After all, caring is our way of life. Hi! I'm Jocylin Binkier, Lieutenant Governor of Division 45 (YAY OWLS!!!!) I attend Columbia River High School in Vancouver, WA, and I've been in Key Club since Freshman year. I adore music, learning languages, making YouTube videos, and of course SERVICE! I've had an amazing time serving on the District Board so far, and am super excited to see what else in in store!